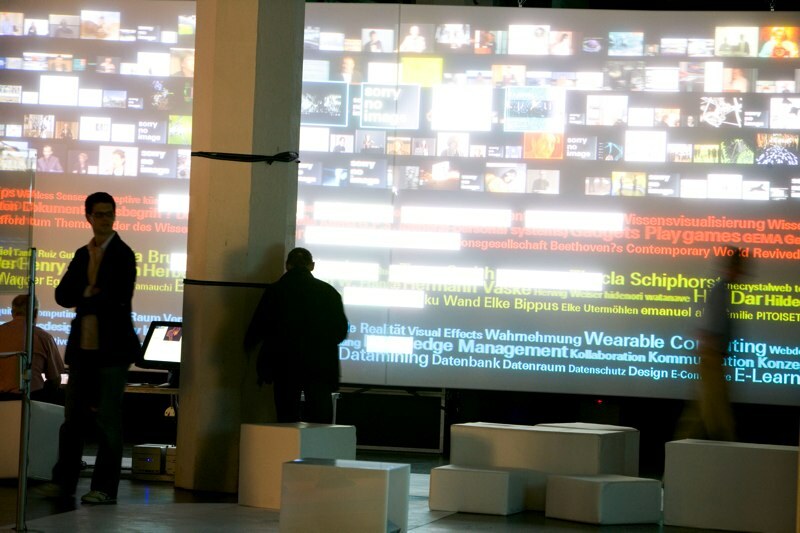 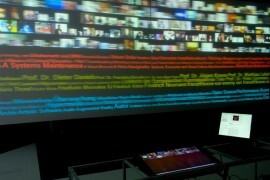 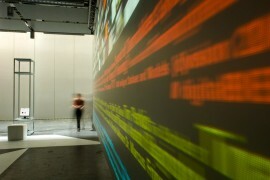 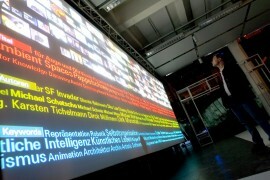 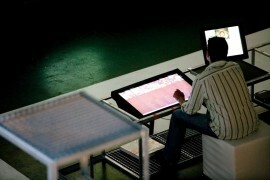 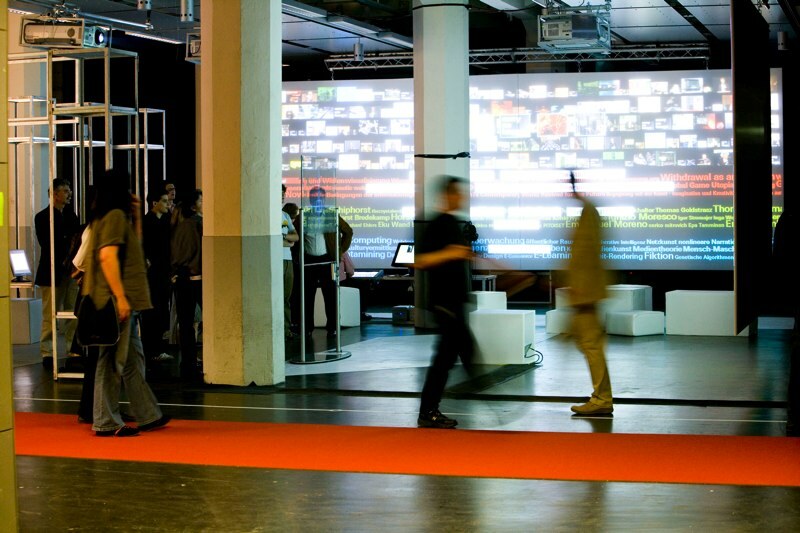 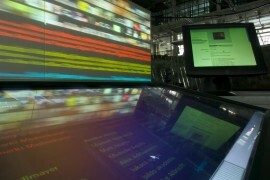 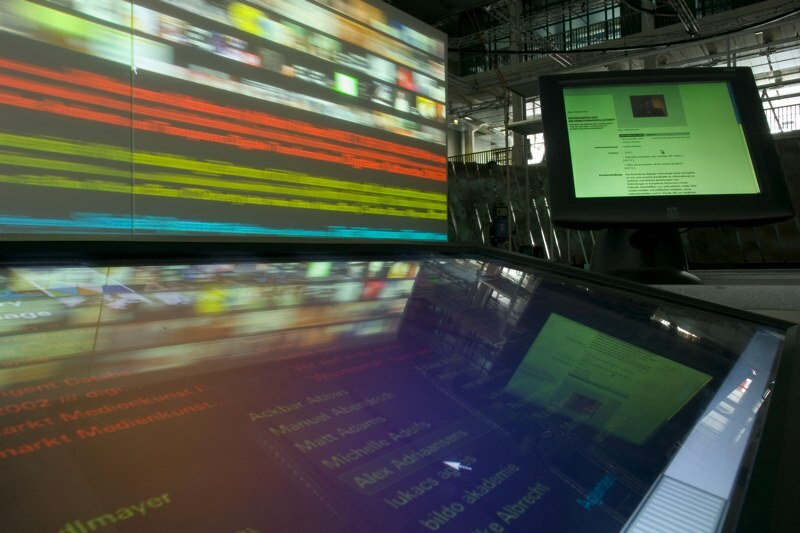 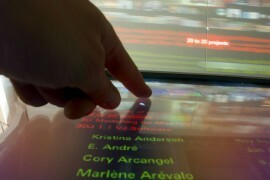 The online archive netzspannung.org as an interactive spatial installation. An all-encompassing browser, which, in a simple to use way, makes the archive of the Internet platform netzspannung.org accessible. Two parallel media flows, one made up of images, and one of words, flow as large format data projections through the space. 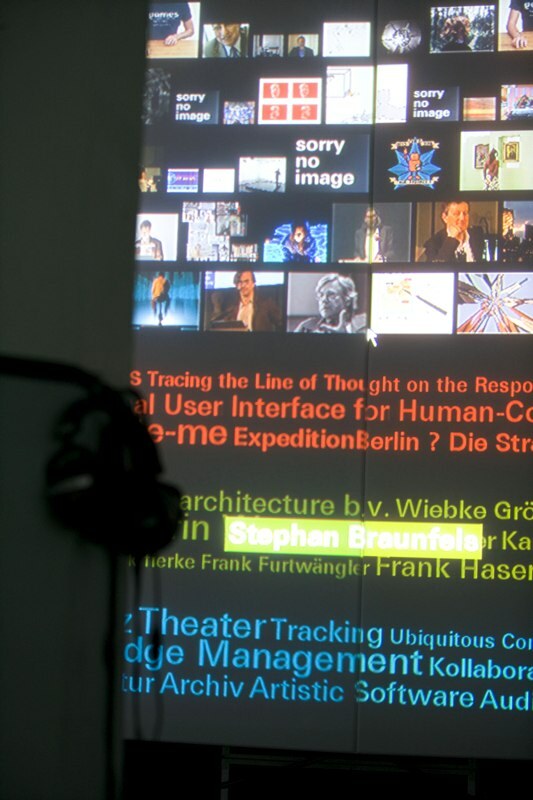 Using an integrated text-to-speech-module, the terms are spoken out by a computer voice. 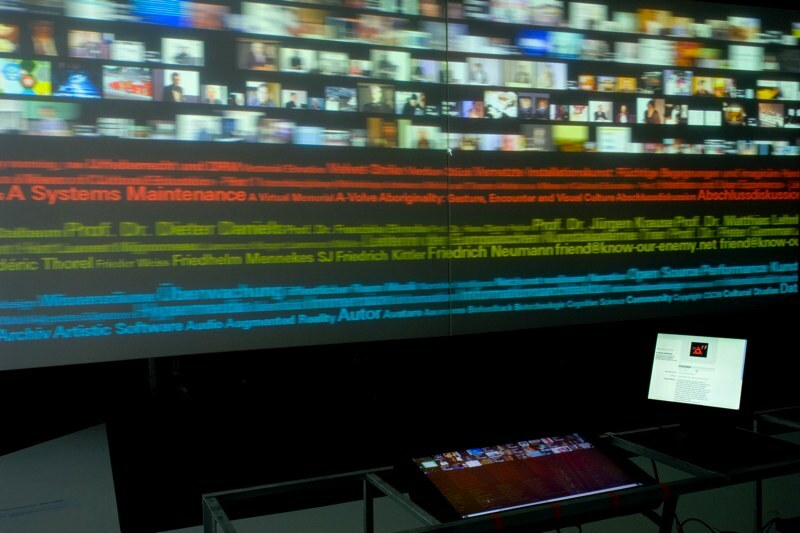 They build, alongside the representation of text and image – an acoustic description of the archive. 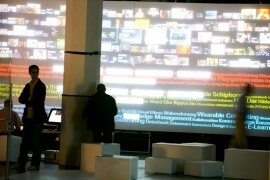 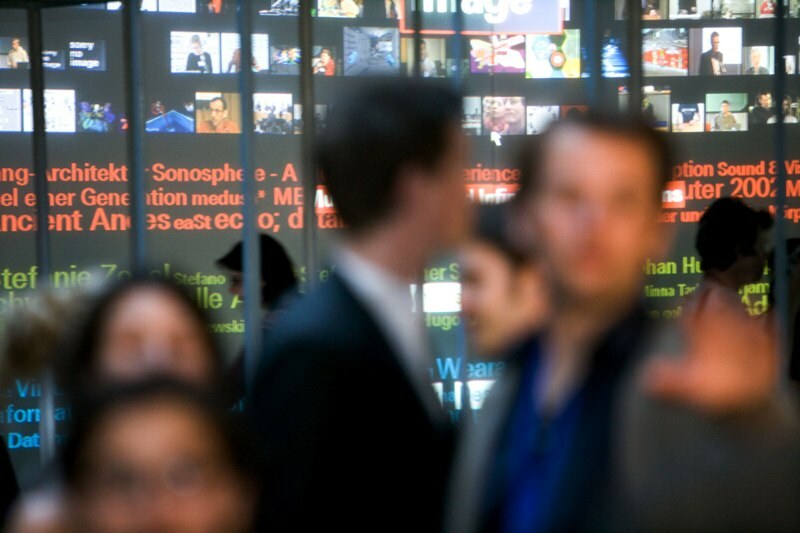 The media flow, and the image based acoustic spheres, create the impression of a media space.